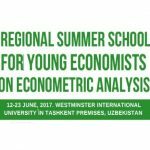 International Food Policy Research Institute (IFPRI) in collaboration with Westminster International University in Tashkent (WIUT) hosted a regional training course (Summer School) on Applied Econometrics from June 12 to 23, 2017, for the fourth consecutive year. 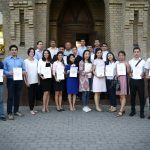 The two-week training course for young researchers took place at the Westminster International University in Tashkent (WIUT), Uzbekistan. 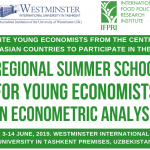 From September 12-23, 2016, Westminster International University in Tashkent (WIUT) and International Food Policy Research Institute (IFPRI) will organize a Regional Training Course (Summer School) on Applied Econometric Analysis. 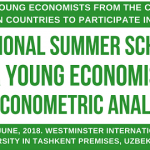 The aim of the Summer School is to strengthen the capacity of young economists in Central Asia, specifically those of Kazakhstan, Kyrgyzstan, Tajikistan and Uzbekistan, for quantitative research, economic policy analysis, and, in particular, for econometric analysis of socioeconomic phenomena in the context of economics and related social sciences. 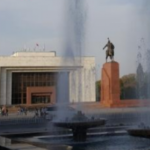 The International Conference on Eurasian Food Security and Nutrition Network and Eurasian Soil Partnership will be held on February 29 - March 2, 2016 in Bishkek, Kyrgyz Republic and is jointly organized by the Eurasian Center for Food Security (ECFS), FAO, the World Bank, IFPRI, and GFAR. 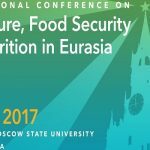 The conference presents the opportunity to discuss and analyze current trends in food security management in the Eurasian region; generate discussion about best and most effective practices to promote and expand multi- and cross-sectoral collaboration on a country, regional and global level; and offer the floor for the Eurasian Soil Partnership Plenary meeting. 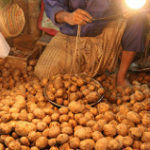 Shabab Murshid Development Foundation (SMDF), International Food Policy Research Institute (IFPRI), and Asian Development Bank (ADB) organized a Policy Seminar titled “Innovative Financing for Agriculture and Food Value Chains in Bangladesh” in Dhaka, Bangladesh, on July 27, 2015. The objective of the policy seminar was to present the current status of agricultural financing in Bangladesh, and discuss policy recommendations of financing in transforming potato value chain in the country. 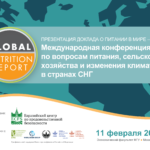 The International Food Policy Research Institute (IFPRI), the Eurasian Center for Food Security (ECFS) and the World Bank are organizing a conference on the linkages between climate change, agriculture, food systems, social safety net and nutrition outcomes at the Lomonosov Moscow State University in Moscow, Russia. 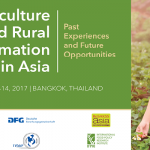 It will bring together various stakeholders from the research, government, and donor communities to exchange and review knowledge, ongoing research efforts, identify gaps for improvement and future research in the region. 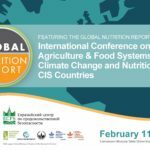 The objective of the event is to help raise awareness about the importance of nutrition and to make development in the region more nutrition sensitive. 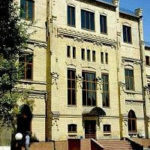 International School of Economics (ISE) in collaboration with International Food Policy Research Institute (IFPRI) will host the first country workshop of the region in Almaty, Kazakhstan. 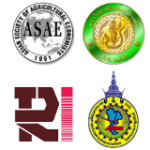 The main purpose of the country workshop is to involve leading national researchers in Kazakhstan in the fields of agriculture, food security and nutrition, climate change and water resource use and management to have a rigorous discussion on the issues related to the ongoing trends in their corresponding fields with focus on Kazakhstan. 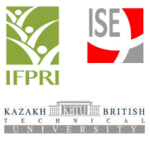 The country workshop is a part of a joint research project between the IFPRI and ISE on “Climate Change, Agriculture and Food Security in Central Asia” and will include participants from Kyrgyzstan, Uzbekistan and Tajikistan. 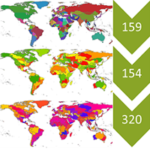 For more details, see here.